Two years in a row! 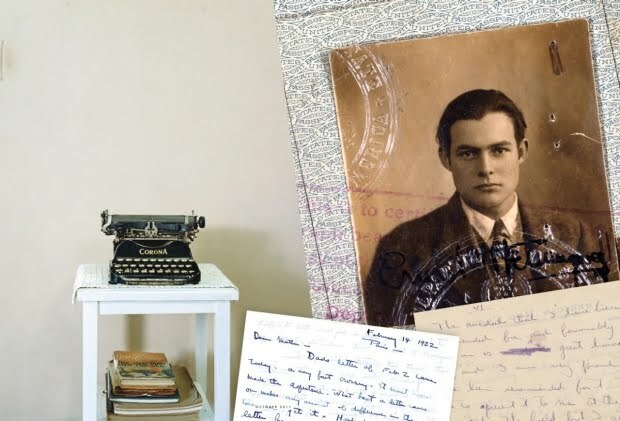 We love this story because it communicates the importance of letter writing—and how that relates to one of our country's literary icons—Ernest Hemingway. "In an epic life of perpetual motion—Paris, Pamplona, Mount Kilimanjaro, Key West, etc.—one place was truly home to Ernest Hemingway: the Finca Vigia, his rustic estate outside Havana"... writes A. Scott Berg in the October issue of Vanity Fair magazine. Berg reports about the Cuban government's release of a treasure-trove of thousands of letters, to be included in the forthcoming volumes of Hemingway's correspondence. 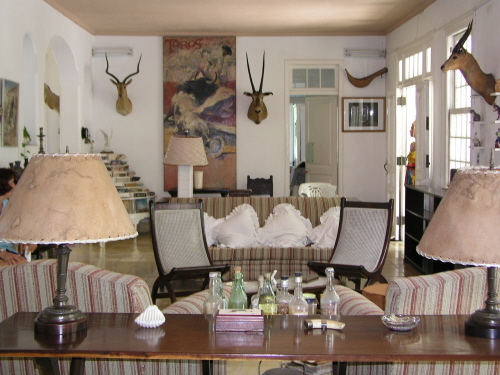 Hemingway and his third wife, Martha Gellhorn bought Finca Vigia in 1940. Its hilltop location with city and sea views provided its name, which means "Lookout Farm." Hemingway eventually divorced Martha and married his fourth wife, a London reporter, Mary Welsh. They traveled a lot but they always returned and lived for 20 years at the Finca. In 1961, at the time of Hemingway's death, diplomatic ties between the United States and Cuba had been severed. The Cuban government then established a Hemingway museum at the Finca. Mary returned and gathered quite a bit from the house but the majority of the Finca's contents—including thousands of pages of accumulated correspondence and manuscripts—became the property of the Republic of Cuba. Berg's report goes on to tell of how an American team was established to work closely with the Cuban government, in the hopes of discovering the Finca's contents. Eventually, to the surprise of the team, they were taken to a shed by the emptied pool where there were stacks of papers and detailed inventories of documents. But this was not the true collection. They finally were escorted through a low gate and into the basement of a garage filled with file cabinets of correspondence. Berg and team quickly began pouring through folders and soon realized they had come across a significant literary treasure. 50 years after Hemingway's death, the Finca is being restored and its contents protected. Over 3,000 documents have been conserved and made available to the public through the J.F.K. Library. Documents from this archive will now be included in the volumes of Hemingway's collected letters. According to Berg..."Their value cannot be overstated. Where Hemingway's published works had all been so deliberate and painstakingly chiseled, his letters were free-from and expansive—unsanded and unvarnished." A treasure-trove, indeed!